Written in the 1950s and banned until after the author’s death, Vasily Grossman’s autobiographical epic Life and Fate surveys the horrors in the Soviet Union during the Second World War with an extraordinarily wide lens. In Lev Dodin’s audacious adaptation for the Maly Drama Theatre of St Petersburg, Viktor Strum, a Jewish nuclear physicist, attempts to continue working as war ravages the continent. 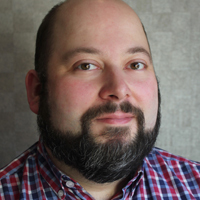 While the family faces rationing, Soviet dogma and anti-Semitic abuse in Moscow, that’s nothing compared with the obscenities experienced on the Eastern front, in Soviet and Nazi camps for political dissidents and the soon-to-be-liquidated ghettos. Throughout, the action is framed by a letter from Strum’s mother Anna – a heart-rending performance from Tatiana Shestakova. She knows it is her last before being sent to her death. Yet while Sergey Kuryshev is on commanding form as Strum, the production’s greatness comes down to its magnificent ensemble, whose unwavering focus ensures the complex narrative is clearly delineated. Rich characterisations allow these soldiers, prisoners and scientists to paint a detailed, unvarnished portrait of humanity. Even in its darkest moments, the piece is freighted with sardonic humour: when Strum receives a call from comrade Stalin, it represents a reprieve. His joy is palpable but short-lived, as it isn’t long before he is forced to denounce others to protect the motherland. 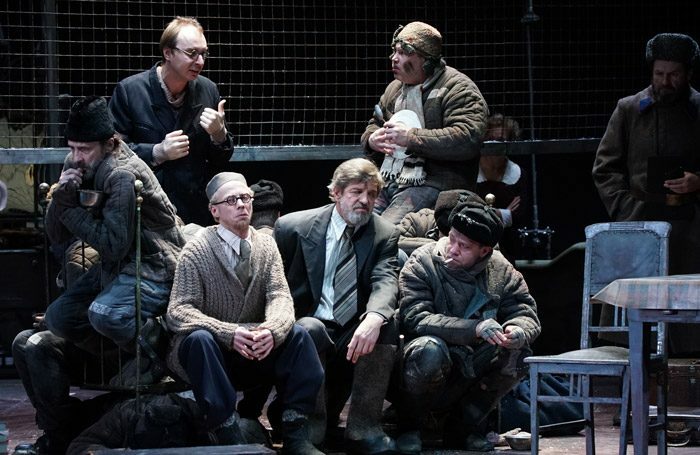 Alexey Poray-Koshits’ ingenious, all-purpose set, initially shrouded in acres of Pravda newsprint, accommodates overlapping scenes to depict a shabby Moscow flat, concentration camps, and the front at Stalingrad. Intermittently, cast members toss a ball between them in the air, visualising the fortuity of fate. Though Anna’s letter shows that unfounded hope is an irrational if necessary comfort, Grossman’s overriding message is that whatever horrors befall us, life somehow stutters on.